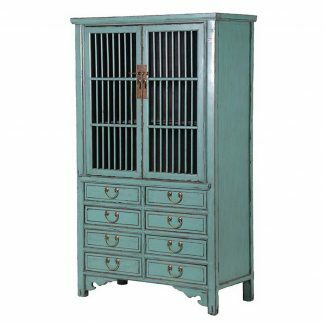 2 door cupboard made to look like it has lots of drawers. 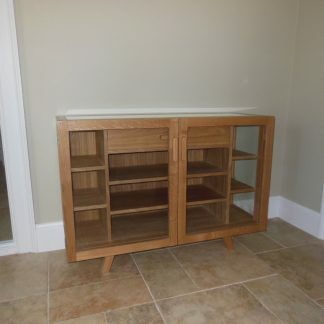 2 main front cupboard doors with 3 internal shelves and 2 internal bottom drawers. 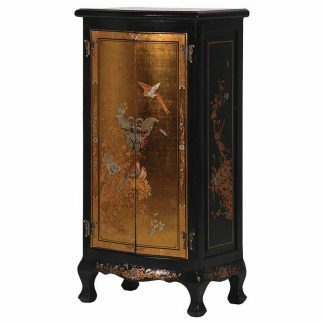 This is a solid cupboard with a lovely quality feel. The timber is full of character with knots and grain patterns which helps to create an antique look. 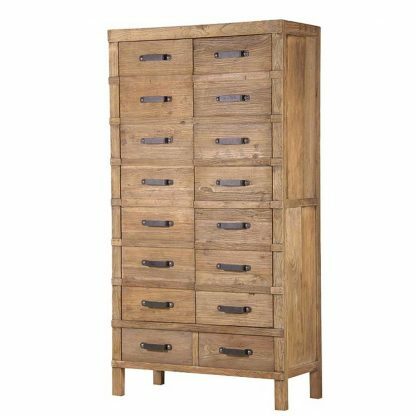 Solid industrial contemporary style metal handles finish off theis beautiful Elm Cupboard.